Want to start teaching drums but don’t know where to start? As recommended in the Dec 2013 Issue of Rhythm magazine. Click for the full review. 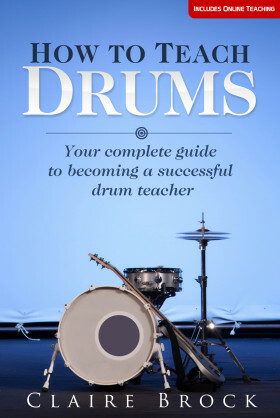 How To Teach Drums is the book that gives you all the info you need to become a successful drum teacher. Written by experienced teacher Claire Brock, it’s available now on Kindle (UK/US) and in Paperback (UK/US).